A three bedroom fully furnished Townhouse highly converted to very high standards. As one enters this wonderful Townhouse a lobby area welcomes you. Also at ground-floor one finds a lounge or a study area which leads to a back yard. One the first floor one finds a fully equipped very modern, high standard kitchen, a dining area and a very bright spacious TV/living area, as-well as a guest toilet with a walk in shower. On the second floor are the sleeping quarters, consisting of three very comfortable bedrooms and a bathroom with a large walk in shower. At roof level one finds a roof terrace equipped with a BBQ and outdoor furniture ideal for entertaining. 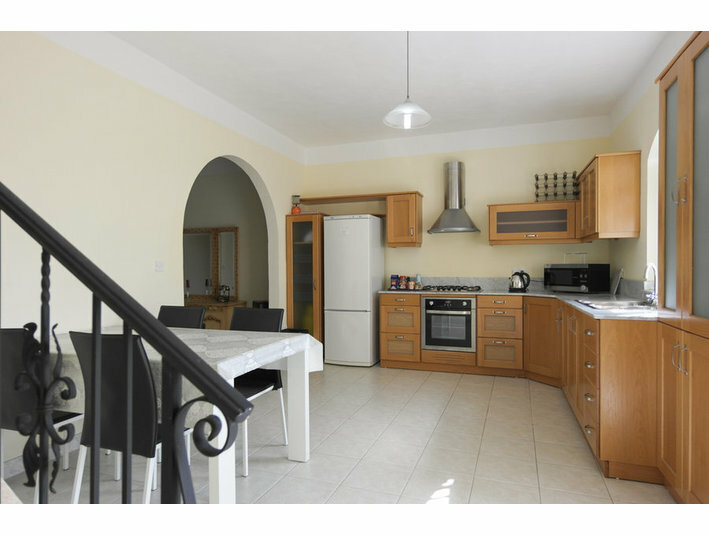 From Owner: New Modern Sliema Townhouse, 4 double bedrooms!